It's likely Edward Teach didn't need much to scare his enemies. After all, the notorious pirate better known as Blackbeard boasted a thick mass of facial hair so intimidating that it got immortalized in history. He also numbered among the first corsairs to fly a black flag with bones on it. And, according to some accounts, he had a habit of lighting fuses beneath his hat, a halo of smoke giving the bristly sea dog a decidedly demonic aspect. a pirate who plundered the coasts of the West Indies, North Carolina and Virginia. But archaeologists now suspect they've found one more clue behind the pirate's menace: what could very well be Blackbeard's sword, or at least part of it. National Geographic published photos released by a team that has for over a decade been excavating the Queen Anne's Revenge, which was Blackbeard's flagship until it ran aground in an inlet off the coast of North Carolina in 1718. These include fragments of a gilded hilt and pommel, possibly of French design (Blackbeard's ship was a retrofitted French merchant vessel, formerly known as Concord and La Concorde de Nantes). NatGeo has more pictures of objects recovered here. Before abandoning the Queen Anne's Revenge, Blackbeard used it in a daring 1717 blockade of the port of Charleston, S.C, where he and his fleet successfully managed to obtain ransom from the British colonial government for the town and its inhabitants. But troops dispatched from Virginia would eventually catch up to him — after he had already abandoned his flaghsip — and in a fearsome sea fight Blackbeard was eventually surrounded and hacked to death. His headless body was then tossed into the ocean. The pirate may now languish in Davy Jones' Locker, but his likely blade may have been brought to light — further evidence of how Blackbeard's bite was as bad as his bark. to create a "stereo vision" analysis of the surf zone. 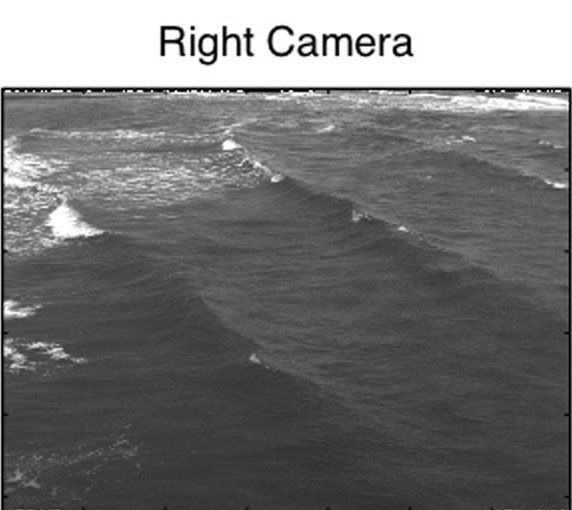 Engineers have created a new type of “stereo vision” to use in studying ocean waves as they pound against the shore, providing a better way to understand and monitor this violent, ever-changing environment. The approach, which uses two video cameras to feed data into an advanced computer system, can observe large areas of ocean waves in real time and help explain what they are doing and why, scientists say. The system may be of particular value as climate change and rising sea levels pose additional challenges to vulnerable shorelines around the world, threatened by coastal erosion. The technology should be comparatively simple and inexpensive to implement. “An ocean wave crashing on shore is actually the end of a long story that usually begins thousands of miles away, formed by wind and storms,” said David Hill, an associate professor of coastal and ocean engineering at Oregon State University. This is the first attempt to use stereo optical imaging in a marine field setting on such a large scale, Hill said, and offers the potential to provide a constant and scientifically accurate understanding of what is going on in the surf zone. 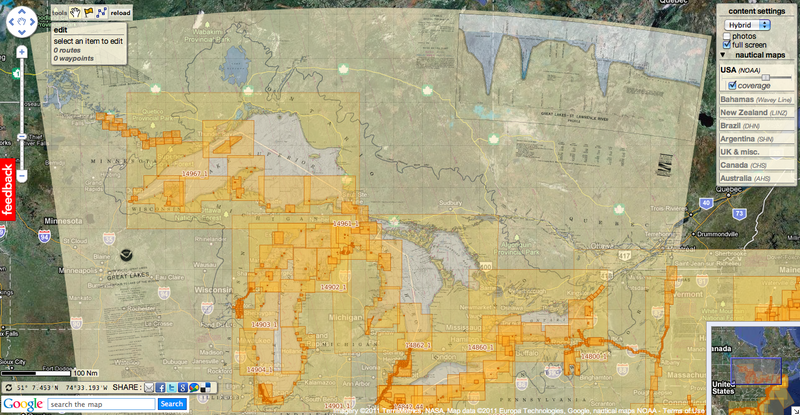 It’s also a form of remote sensing that doesn’t require placement of instruments in the pounding surf environment. Only in recent years, Hill said, have extraordinary advances in computer science made it possible to incorporate and make sense out of what a dynamic marine environment is doing at the moment it happens. Researchers at OSU and the Technical University of Delft in The Netherlands made important recent advances toward this goal, which were reported in Coastal Engineering, a professional journal. Other studies at OSU have documented that ocean wave heights and coastal erosion in the Pacific Northwest are increasing in recent decades, adding to the need for a better understanding of those waves when they hit shore. One study just last year concluded that the highest offshore waves may be as much as 46 feet, up from estimates of only 33 feet that were made as recently as 1996, and a 40 percent increase. Record ocean temperatures and an intense La Nina weather pattern have helped spawn one of the most powerful cyclones in Australian history. Cyclone Yasi, a maximum category five storm, is headed for northern Queensland, and is expected to affect a region that is home to more than 400,000 people. The “monster” cyclone formed in the Pacific Ocean near the island nation of Fiji, which gave Yasi her name. Alan Sharp, national manager, tropical cyclone warning services, of the Australian Bureau of Meteorology, said the cyclone was the worst Australia had seen for more than a century. "Yasi is not enormously unusual but it is at the top-end of the scale as far size goes as well as intensity,” he said. The country’s most deadly cyclone to date hit in March 1899 cyclone, striking a pearling fleet on Cape York Peninsula and killing more than 300 people. Mr Sharp said the current La Nina was helping drive the record ocean temperatures around Australia that were helping fuel Cyclone Yasi by providing abundant heat and moisture. La Nina events historically bring floods and an increase in cyclones during the Australian storm season from November to April. "We can’t say any particular cyclone is caused by climate change. There has been a slight trend towards more intense storms around the world,” Mr Sharp said, adding it was hard to work out what was natural variability or climate-change related. Scientists say there is a likely climate change link to the current La Nina through higher sea surface temperatures. The world’s oceans and atmosphere have steadily warmed over recent decades and that warmth could be providing monsoons and storms with an extra kick. A major global study in 2010, based on complex computer modelling, found that tropical cyclones will become stronger, with the intensity increasing between 2 and 11 percent by 2100. And while in some regions, such as the western Pacific and around Australia, the average number of storms might decrease, the number of intense storms in the category 4 and 5 range will increase, along with wind speeds and the amount of rainfall. Queensland is currently recovering from another extreme weather event. Record floods swamped the southeast of the state last month, killing 35 people. TheGuardian : Will cyclone Yasi push Australia into action on climate? Looking into the distance has long been touted as a way to stay upright and free of seasickness despite the pitch and roll of a boat. Unlike some old wives' tales, horizon-gazing is good advice, according to a study published Jan. 26 in the journal Psychological Science. Staring at the horizon really does make people steadier while at sea. The results could help researchers better understand the maddening phenomenon of motion sickness, said study author Thomas Stoffregen, a cognitive scientist at the University of Minnesota. "It’s the people who become wobbly who subsequently become motion sick," Stoffregen said in a statement. When standing on dry land, people sway back and forth by about 1.5 inches (4 centimeters) every 12 to 15 seconds. To find out how this changes on a ship, Stoffregen and his colleagues contacted the U.S. consortium that runs scientific research ships. "I'm really an oddball for these folks, because they're studying oceanography, like hydrothermal vents. Here's this behavioral scientist, calling them up," Stoffregen said. Stoffregen stays out of the oceanographers' way, boarding the ships between other projects. For the current study, he stayed on the research vessel Atlantis during a journey across the Gulf of California (between the Baja Peninsula and the Mexican mainland). The researchers asked crew-member volunteers to stand on a force plate that would measure their movements, first on dry land in Mexico and then on the Atlantis. The crew members were told to look either at something about 16 inches (40 centimeters) in front of them or to focus on the horizon. Although it might seem that looking at something steady would make the ship's movement all the more noticeable, it helped to focus on a distant, steady point on the horizon while at sea, the researchers found. On land, people were more stable when looking at something close to them, but at sea, they stayed steadier while gazing far away. Stoffregen suspects that the horizon provides a helpful point of reference, allowing people to sense the difference between their body's natural motion and the motion of the ship. He'd hoped to study gaze in relationship to seasickness, but none of his crew-member volunteers were afflicted. The best opportunity to capture maximum seasickness misery would be to catch a ride on a ship full of undergraduate oceanography majors on their first nautical voyage, Stoffregen said. "I'd give my right arm to get on one of those," he said. According to a new explanation of seahorse shape, those distinctive S-curve bodies let them reach further than straight-bodied ancestors. Compared to tube-shaped pipefish, their closest relatives, seahorses extend their snouts an extra 30 percent. The difference is only a few millimeters, but for animals with a strike range of a centimeter or two, it’s a big advantage. To test the link between shape and hunting ability, Ferry’s team created a computer model predicting the movements of seahorses and pipefish. By tweaking the features of the model fish, they could estimate how body curvature affected range. They verified their results with high-speed video of seahorses and pipefish feeding. The videos were needed, Ferry said, because the naked eye can’t see seahorses feed. They’re among the fastest eaters known. “From the time they spot prey and open their mouth, to the time the shrimp is completely devoured, is only four milliseconds,” said Ferry. Seahorses rely on stealth attack because they’re poor swimmers. While most fish, pipefish included, swim towards their prey, seahorses hide in sea grasses or corals, hang on with a prehensile tail, and wait for tiny shrimp to float by. To prepare for a strike, they tense their muscles and — like a stretched sling-shot — snap forward. Seahorses are also unusual for being monogamous, and are among the only species in which males bear young. 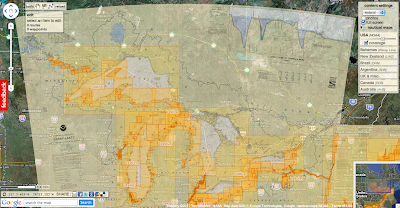 Today 1019 NOAA raster charts (2166 including sub-charts) are included in the Marine GeoGarage viewer. 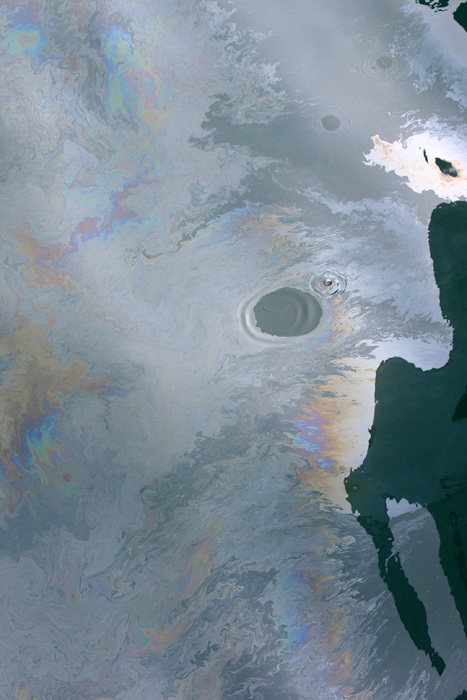 A fresh oil slick from the Deepwater Horizon spill, during June 2010. Note that one drop of detergent was added to the oil slick, forming the cleared circle. Nearly 3 million liters [771,000 gallons] of a chemical dispersant ejected into oil and gas from BP’s Deepwater Horizon oil spill last spring and summer lingered until at least September, a new study shows. The chemicals moved in concert with plumes of oil deep beneath the Gulf of Mexico’s surface. David Valentine of the University of California, Santa Barbara and his colleagues periodically sampled plume water that flowed at depths of 1,000 meters or more between May and September 2010. They shipped these samples to chemist Elizabeth Kujawinski at the Woods Hole Oceanographic Institution in Massachusetts and her colleagues for analysis. With rare exception, they report online Jan. 26 in Environmental Science & Technology, the dispersant did not degrade but instead moved with the plumes until they were lost to dilution in the Gulf’s depths. When oil and gas mixtures are ejected from a deep wellhead, liquid oil droplets of many different sizes form and rise toward the ocean surface. Because the smaller droplets become as dense as the surrounding water deep below the surface--in this case at about 1,100 meters--they are swept away laterally by prevailing ocean currents (left panel). When a dispersant is added at the depth of the wellhead, a component called a surfactant breaks up the oil into small droplets (middle panel). If the dispersant works perfectly, virtually all the liquid oil is in these "neutrally buoyant" droplets and is carried away before ever reaching the surface and the droplets become small enough to be consumed, or "biodegraded," by bacteria. In the Deepwater Horizon spill (right panel), scientists found evidence that the dispersant mixed with the small droplets in the deep-water hydrocarbon plume but also discovered the oil/dispersant mix had not yet biodegraded several months after the spill. The study could not distinguish between oil droplets coated with surfactant (which would suggest the dispersant worked as planned) and surfactant floating freely on its own (suggesting the substance did not attach to the oil, as intended). To scout for the dispersant, known as Corexit 9500A, Kujawinski focused on an active ingredient known as DOSS, or dioctyl sodium sulfosuccinate. It accounted for 10 percent by weight of the dispersant mixture, which was released at rates ranging from around 13,000 to 80,000 liters [3,400 to 21,000 gallons] per day. Prior to capping the well, plume concentrations of DOSS hovered in the low-parts-per-million range, after which it diminished to parts-per-billion concentrations. DOSS levels in the plume matched what would have been expected if the dispersants remained with the oil. That, Kujawinski says, suggests no biodegradation of DOSS — and shows why remnants of dispersant applications could be detected 300 kilometers [186 miles] from the wellhead and even two months after their last application. “When you read about Corexit, it’s supposed to biodegrade,” observes Carys Mitchelmore of the University of Maryland’s Center for Environmental Science in Solomons. But specific rates have not generally been reported, she adds. So the dispersant’s apparent persistence in the new paper is somewhat unexpected. The aquatic toxicologist says she would like to see are data showing whether Corexit enhanced the ultimate breakdown of BP’s oil. Like Mitchelmore, Beth McGee of the Chesapeake Bay Foundation in Annapolis, Maryland., served on a 2005 National Academy of Sciences assessment of oil-spill dispersants. “Dispersants typically degrade fairly rapidly,” McGee says. And, she adds, the results suggest that novel uses — such as injecting them a mile below the surface where it’s cold and there’s no light — deserve study, if only to answer questions prompted by the BP spill. 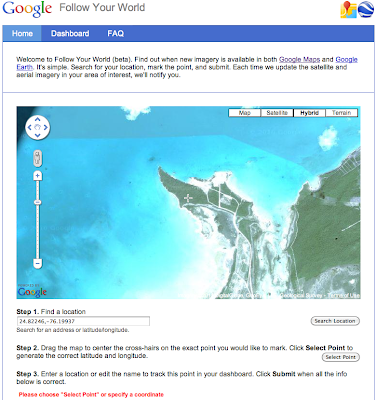 Follow Your World is a notification service for Google Earth/Google Maps satellite and aerial imagery updates. You can register a location with the service and, if that location gets fresh imagery, Google sends you an e-mail alert. This is the most unexplored area of the planet: the deep ocean. It begins with a whale shark used as a shield by a shoal of bait fish to protect themselves from yellowfin tuna. Also shown is an oceanic whitetip shark trailing rainbow runners. Down in the ocean's furthest reaches, some creatures defy the classification. On the sea floor, scavengers such as the spider crab bide their time, awaiting carrion from above. The volcanic mountain chain at the bottom of the Atlantic Ocean also sustains life through the bacteria that surround its sulphide vents. There are thought to be around 30.000 undersea volcanoes, some of them taller than mount Everest. Their sheer cliffs provide anchorage for several corals and sponges. never the surface, the currents that surround these seamounts force nutrients up from below and thus marine life around them is abundant. Ascension Island is a nesting ground for fritebirds and green turtles. Off the mexican coast, a large group of sailfish feed on another shoal of bait fish, changing colour to signal their intentions to each other, allowing them to coordinate their attack. The last sequence depicts the largest animal on Earth: the blue whale, of which 300 000 once roamed the world's oceans.